For the first time, HPE is creating OT products and is opening up a new market opportunity for partners. HPE DISCOVER MADRID — Calling the edge a new total addressable market (TAM) opportunity for partners, HPE on Tuesday announced new HPE Edgeline Converged Edge System solutions and a dramatic strategic company shift that focuses on the operational technology (OT) market. HPE made the announcement at HPE Discover 2018 Madrid. Today’s announcement includes: the HPE Edgeline OT Link Platform; HPE Edgeline systems management; HPE Edgeline EL300 Converged Edge System; and HPE Edgeline Field Application Engineering Services. “What we’re doing is combining OT and IT in the same box,” Tom Bradicich, vice president and general manager, converged servers, edge and IoT systems at HPE, told Channel Futures. Bradicich called the edge the third TAM — the first being the data center and the second the cloud. The edge is everywhere other than the data center and cloud — it’s the home, the manufacturing floor, a smart electrical power grid the battlefield, and so on. It can be a smart city or an autonomous smart car. “The edge presents a tremendous opportunity for partners on the supply side but also a tremendous opportunity for the demand side, or customer,” said Bradicich. With this announcement, HPE is creating new market opportunities for HPE software partners who’ve written for the data center — the idea being that they take that same software and run it at the edge. HPE is also creating a new channel opportunity for the OT industry. OT is an $80 billion business, he said. According to Gartner, by 2022, as a result of digital business projects, 75 percent of enterprise-generated data will be created and processed outside the traditional, centralized data center or cloud, up from less than 10 percent in 2018. The new HPE Edgeline Converged Edge System is designed to speed the deployment and simplify the management of edge applications, enabling businesses to act on data generated by machines, assets and sensors from edge to cloud. It’s an open platform that allows businesses to seamlessly integrate applications and OT devices for edge deployments. HPE Edgeline OT Link Platform is an open workflow engine and application catalog that allows customers to orchestrate components, data and applications via a graphical drag-and-drop user interface. The new platform integrates an ecosystem of third-party applications running from edge to cloud – including AWS, Google, Microsoft, SAP, PTC, GE, and more – to make insights from the edge available across the enterprise and supply chain. HPE Edgeline OT Link certified modules are HPE-developed adapters that connect to a broad range of OT systems, enabling bidirectional, time-sensitive and deterministic control and communication, including high-speed digital input/output, CAN bus, Modbus or Profinet. APIs and SDKs for these adapters are made available to the industry to facilitate third-party designs of OT link modules. OT link will also integrate FPGA modules to give customers maximum flexibility to connect to any industrial input/output device. HPE Edgeline Integrated System Manager is embedded into HPE Edgeline Converged Edge Systems and features one-click provisioning, ongoing system-health management, remote updates and management, even with intermittent wired and wireless connections. It also supports advanced security functions like preventing system boot file changes and remote-system disablement during a security event. HPE Edgeline Infrastructure Manager software can remotely manage thousands of Edgeline Converged Edge Systems. The HPE Edgeline Workload Orchestrator hosts a central repository for containerized analytics, AI, business and IoT applications that can be pushed to HPE Edgeline Converged Edge Systems at the edge. HPE Edgeline EL300 Converged Edge System is a next-generation system featuring OT Link and HPE Edgeline systems management. It provides flexibility to enable a wide variety of use cases through multiple wired and wireless industrial connectivity options. The HPE Edgeline EL300 is a fanless, low-energy system equipped with Intel Core i5 processors, up to 32GB of memory and 3TB of storage. It will also support Intel Movidius Myriad X vision processing units to enable video analytics and AI inference at the edge. The HPE Edgeline EL300 provides enhanced resiliency against shock, vibration, humidity and dust, including IP50 and MIL-SPEC certifications, and can operate from -30 to +70 degrees Celsius. These features make the HPE Edgeline EL300 suitable to be deployed as an embedded system; for example, in production machines or in building infrastructure. The HPE Edgeline EL300 Converged Edge System will be added to HPE GreenLake Flex Capacity, to deliver a consumption-based experience with usage-based payment, capacity metering and tailored support for customers who need a cloud-like experience for systems at the edge. 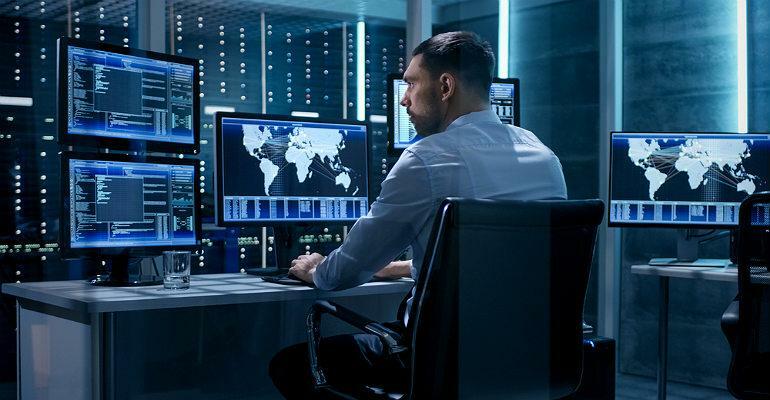 HPE Edgeline Field Application Services from HPE Pointnext help customers plan, design, build and run IoT, edge and cyber-physical systems to accelerate deployment and ensure reliable and secure operation. These services include the evaluation of use cases, proof of value, solution deployment and management of ongoing operations. HPE Pointnext can help customers develop their own data acquisition, industrial network and control components for HPE Edgeline OT Link Platform to create custom solutions and competitive advantage. HPE Edgeline OT Link Platform-based solutions can be delivered on-premises with a turnkey deployment service, operated by HPE Pointnext. The HPE Edgeline EL300 Converged Edge System is now available globally, with list prices starting at $2,532. The HPE Edgeline Integrated System Manager is also now available globally, and a zero-fee software license is included with HPE Edgeline EL300 Converged Edge System. For partners, this means that HPE for the first time is creating OT products that can sold by HPE’s IT channel. Partners will have to decide if they want to deliver more value by this convergence of IT and OT by HPE, and take the required steps to expand their business.